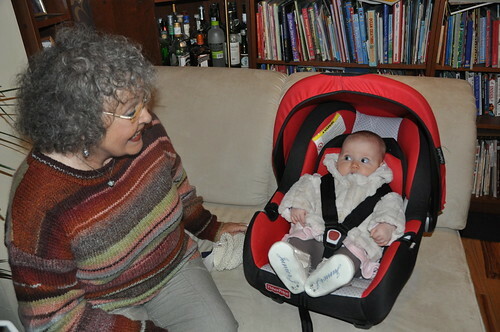 Catriona stares out granny, a photo by PhylB on Flickr. I asked Amaia what she thought Catriona was thinking in this photo just because she has such an amusing expression... Her cute reply was 'Oh oh, not you missus!